Average 4.36/5 out of 56 total votes. BECAUSE YOU DEMANDED IT! 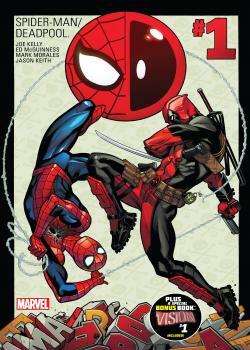 The Webbed Wonder and the Merc with a Mouth are teaming up for their first ongoing series EVER! It's action, adventure and just a smattering of (b) romance in this episodic epic featuring the WORLD'S GREATEST SUPER HERO and the star of the WORLD'S GREATEST COMICS MAGAZINE. Talk about a REAL dynamic duo!